Israel's Interior Ministry has been officially required to register a woman who converted through a non-state, Orthodox rabbinical court as Jewish in the population registry. 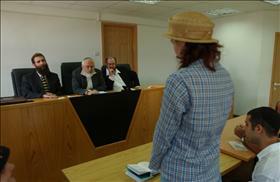 The Jerusalem District Court issued a declaratory judgment for the woman, validating her status as a Jew after she converted through the independent 'Giyur K’Halacha' rabbinical court. Only 25% of the adult Israeli Jewish public supports the position of the Chief Rabbinate that the Rabbinate should have the sole authority to affirm the Jewish status of converts to Judaism. 49% supports the recognition of all types of conversion that are accepted by the world Jewry, including Reform, Conservative, and Orthodox conversions. These data emerged from the 2018 Israel Religion & State Index, conducted by the Smith Polling Institute, which was published by Hiddush last week. There is no small irony in this private Orthodox conversion being recognized by the State of Israel, despite the opposition of the Chief Rabbinate, thanks to battles that I and others fought for the official recognition of Reform and Conservative conversions. I welcome the ruling but regret that the rabbis of 'Giyur K’Halacha' did not come to this fundamental conclusion: there will either be freedom of religion and equality for all, or Modern Orthodoxy will also find itself facing state authorized religious discrimination. It is important to see the ruling in a realistic light, for the ruling deals only with the civil sphere - the Registration of Jewish identity with the Population Registry. This is of no interest to and does not obligate the Chief Rabbinate. The Rabbinate will continue to ignore this in matters of personal status and consider these converts to be gentiles, refusing to marry them. The only solution, which a large majority of the Israeli Jewish public supports, and which all democracies in the world recognize, is granting full freedom of choice in marriage. The only solution, which a large majority of the Israeli Jewish public supports, and which all democracies in the world recognize, is granting full freedom of choice in marriage. Without freedom of marriage, the significance of the Court ruling is extremely limited. What does the public think of "who is a Jew?" The 2018 Israel Religion & State Index, which was conducted by the Smith Polling Institute for Hiddush, clearly shows that the public opposes the Chief Rabbinate's monopoly in the field of conversion: Only 25% of the adult Jewish Israeli public supports the position of the Chief Rabbinate, according to which it should be the only body authorized to determine which conversions are recognized in the State of Israel. The public is divided on the question of which conversions outside the rabbinate should be recognized. Some support state recognition of more lenient or more stringent Orthodox conversions performed outside the auspices of the Chief Rabbinate. The largest group, representing 49% of respondents, supports the official recognition of all types of conversions that are accepted among the Jewish people, including Reform and Conservative Conversions. Further, as to whether the Israeli Jewish public would like Diaspora Jewish leadership to advocate for religious freedom in Israel, including the abolition of the Chief Rabbinate's monopoly over conversion, 68% expressed support for the North American Jewish Federations and other Diaspora Jewish organizations to promote freedom of religion and pluralism in Israel. For example: advocating for marriage freedom, doing away with the Rabbinate's monopoly over conversions, kashrut certification, etc.